‘Emotional’ film starring Idris Elba has audience in tears, but critics express doubts. THE Nelson Mandela biopic Long Walk to Freedom provoked an emotional response from the former president’s family and friends at its premiere in Johannesburg yesterday. The film stars Idris Elba (The Wire, Luther) as the ‘father of the nation’ and fellow Brit Naomi Harris (Skyfall) as Mandela’s second wife, Winnie Madikizela-Mandela. 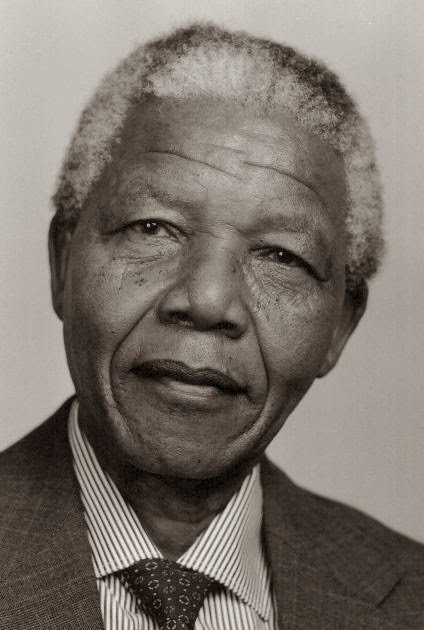 The film is largely based on Mandela’s autobiography of the same name. It follows his life from a humble childhood in the Eastern Cape and his years in prison to his historic appointment as the country’s first democratically elected president in 1994. Mandela, 95, was unable to attend the premiere due to his continuing poor health. He was represented by members of his family including his wife Graça Machel, several of his children and grandchildren and Winnie Madikizela-Mandela. With scenes of apartheid brutality against ANC activists, the film stirred up an emotional response from many of the former activists present at the premier. "I cried many times during the movie because it was so emotional," South African Justice Minister Jeff Radebe told The Mail and Guardian as he left the theatre. "It depicted not only the struggle by Nelson Mandela but also by the people of South Africa," he said. He added: "I am sorry that he is not well enough to see the film. He would have been very proud of it." Despite receiving an unprecedented eight-minute standing ovation at the Toronto Film Festival in September, Long Walk to Freedom has received mixed reviews from critics. However, the film is saved by Elba’s “towering” portrayal of Mandela, writes Variety. “Elba catches the spirit of Mandela in the way no other actor quite has”, particularly with his “vocal inflections, speech patterns and accent”. The film has faced some criticism from South Africans who felt the starring roles should have been offered to local actors instead of big foreign stars. Nobel literature prize winner Nadine Gordimer said she was "a little troubled ... because we have got wonderful actors here, like John Kani. I don't know why we had to have a stranger playing Mandela, our Mandela"